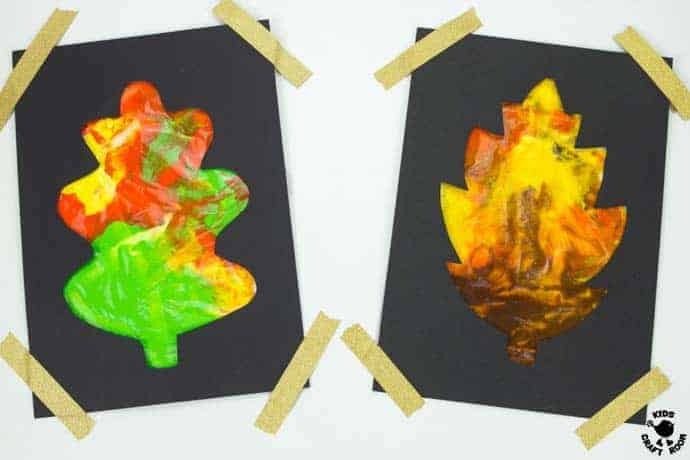 This Mess Free Sensory Autumn Leaf Painting idea is a wonderful activity to explore the changing colours of the season and engage the senses. 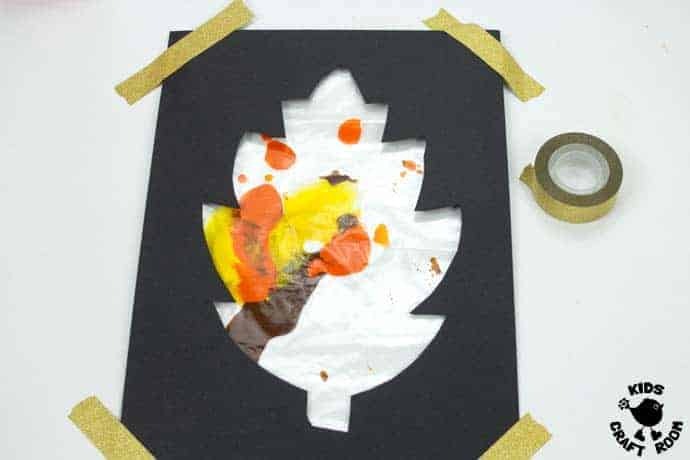 It’s always magical for children to watch the leaves changing colour and now they can make it happen right in front of their eyes with this hands-on Autumn art idea. 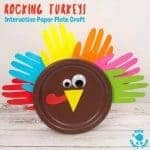 The paint is sealed away behind leaf cut outs so little hands don’t get messy! 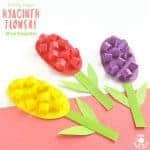 Kids will love moving the colours around with their fingertips and watching them blend and change as they go. 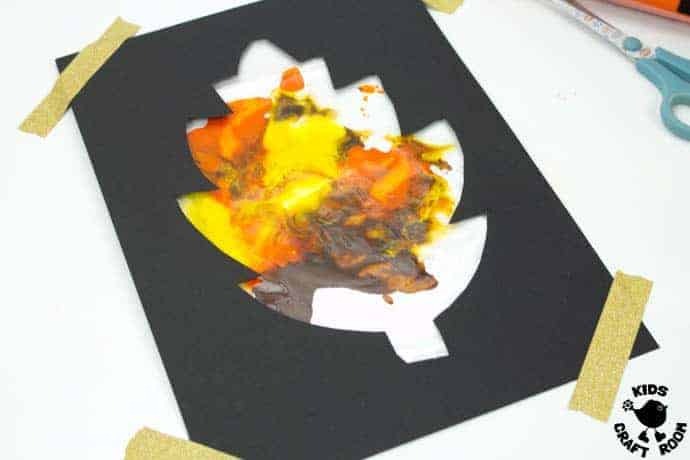 Because the paint is sealed away this Autumn painting idea lasts a while without the paint drying out. 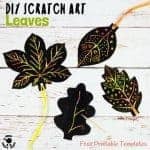 This means kids can revisited it again and again to create newly painted leaves, unique each and every time! 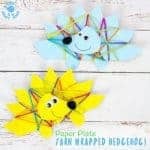 There are 6 free printable leaf templates for you to choose from so you can use just one or all 6. 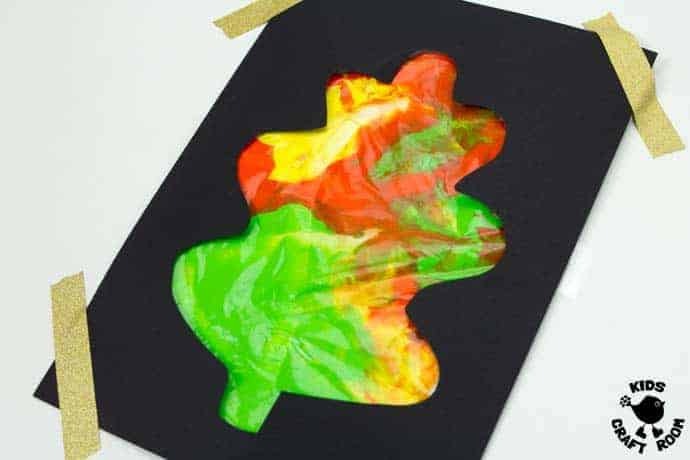 Mess Free Autumn Leaf Painting is lovely to set up on a table as an invitation to create with different colour combinations inside for children to explore. 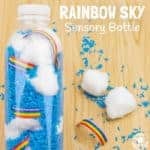 A wonderful sensory activity to engage kids sight, touch and hearing! 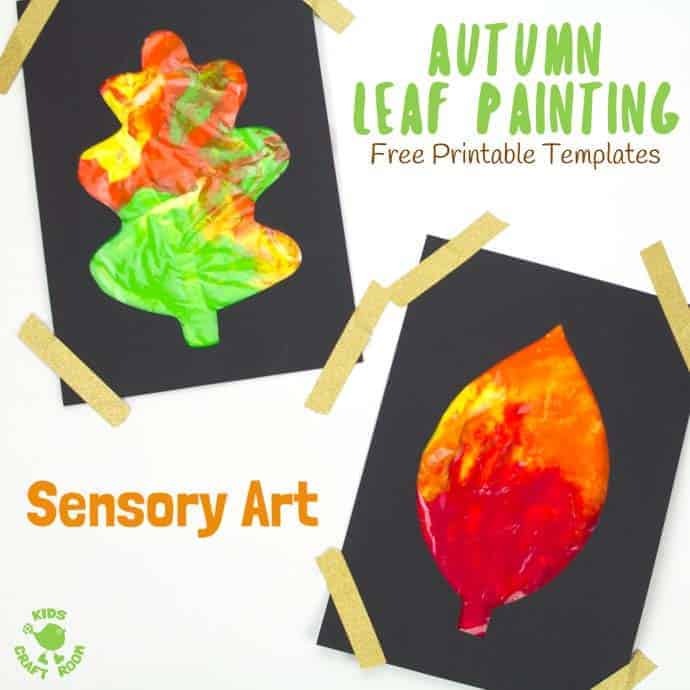 Mess Free Sensory Autumn Leaf Painting is a super activity to set up on an old table top and leave out for a few days so kids can revisit it again and again. 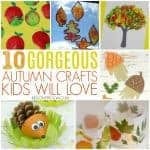 Why not combine it with some of our other favourite Autumn activities too? 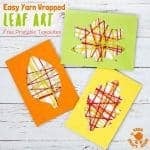 We adore Scratch Art Leaves, Leaf Sensory Bags, Leaf Window Clings, and Yarn Leaf Art. 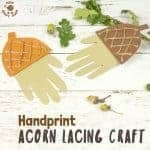 1 – Start by printing your free leaf templates (available at the bottom of this tutorial). We printed ours straight onto black card because it gave a fantastic contrast to the coloured paint but you can use any colour you like. 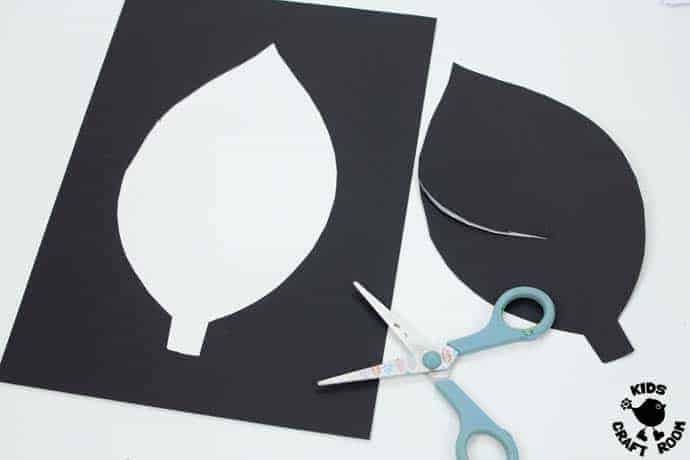 2 – Cut out the leaf from the middle of the printed sheets being careful to leave the frame whole. 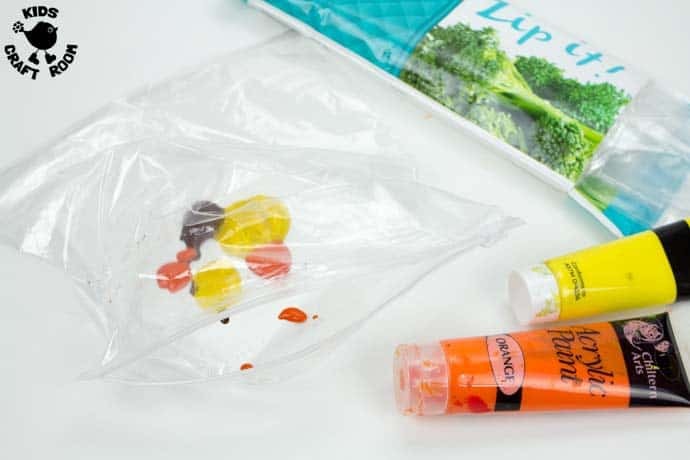 3 – Squirt some paint into your ziplock bag. We like to dot the paint around a bit. 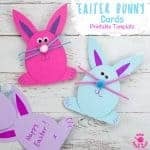 The more paint you put in the more easily the colours will mix and the more squishy and tactile the experience is for the children. We put in about three times the amount you can see in the photo above. 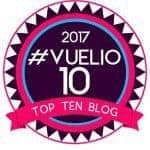 4 – Squash the air out of your zip lock bag and zip it up. If you want to you can add extra tape around the zip as well to help prevent leaks. 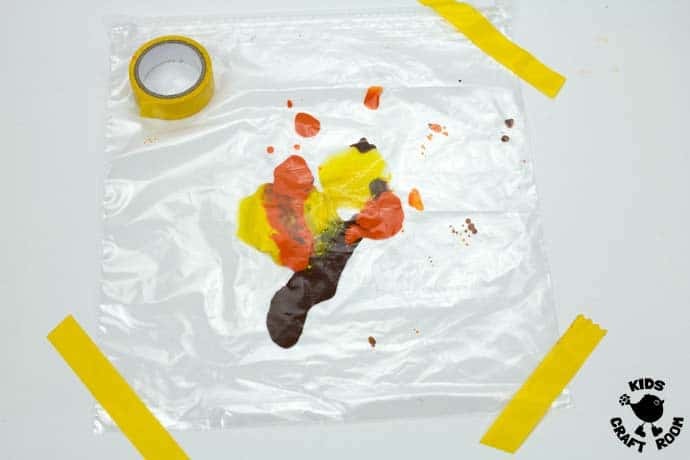 Then tape your paint filled bag to the table top. We used clear tape but it didn’t show up in the photograph so I put on yellow tape just so you could see where I taped it across the corners. 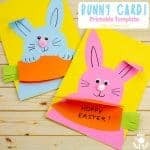 If you are using this activity with young children you might prefer to tape all around the edges. 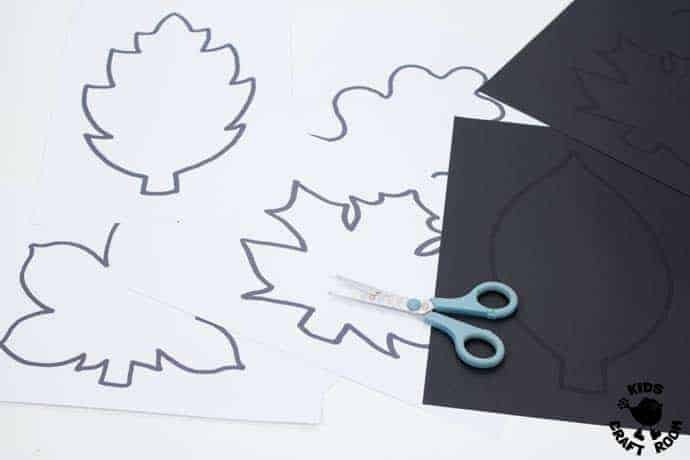 5 – Create the leaf shape by taping on the printable leaf cut out. We used gold glitter tape to add a bit of sparkle! 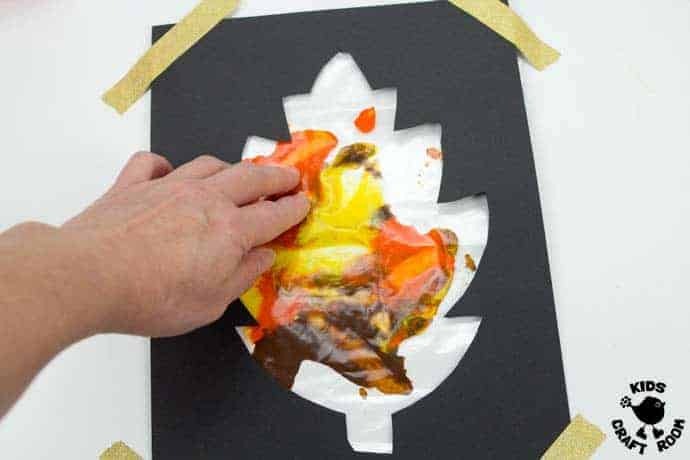 6 – Now kids can squish and squash the paint around to fill the leaf with colours. 7 – Each time they touch and move the paint the picture in front of them will change. 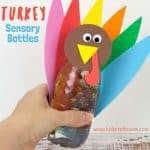 Kids can enjoy watching the colours mix and blend. 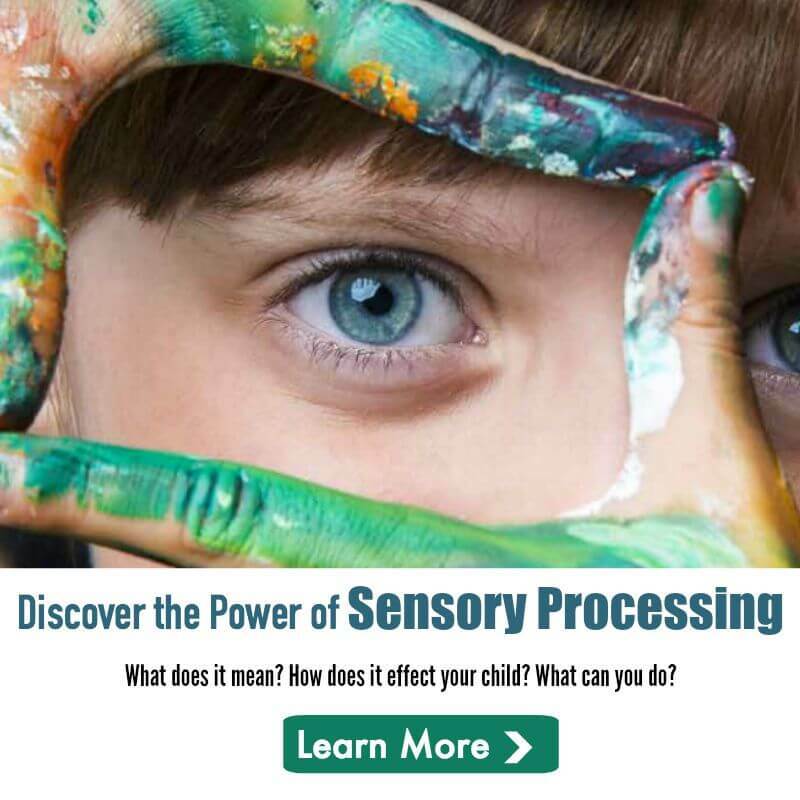 Tis engages their sight and touch. 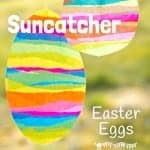 You can encourage the children to listen really carefully as they move the paint around. 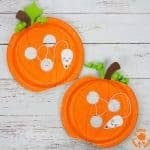 Can they hear the squelchy sounds? 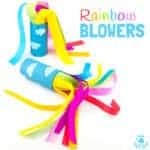 Can they hear the plastic moving? 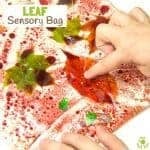 8 – You might like to experiment with different music plying in the background as children explore this sensory Autumn leaf painting activity. Do different tempos and moods effect how they feel and move the paint around? 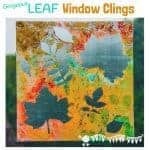 Click here to get your free printable leaf templates download link sent straight to your email.